Horizon Plumbing can fix all residential plumbing issues, no matter the size. We specialize in tankless water heaters, slab leak repairs, water filtration & softener systems. What don’t we do? We do not charge “trip charges”. All diagnostics & estimates are free. Have a leak? Horizon can find and repair your leak fast. We install and service every type of tankless water heater and have serviced over 5,000 units throughout DFW. Ask us how our tankless maintenance program can keep your tankless lasting for 20 years. North Texas is notorious for its hard water which can cause expensive repairs on water dependent appliances. Learn the dangers of hard water and review Horizon’s options that will be an investment for the home for years to come. Does your water taste funny but you’re not laughing? Bad-tasting water is no joke and having clean, fresh water in the home is a necessity. Learn more about water filtration systems for the home. Shifting soil is very common throughout DFW. Over time, slabs crack, pipes break, and water lines leak. We repair slab leaks of all sizes. Learn more on how Horizon Plumbing can detect and/or repair your slab leak. Plumbing issues with drains and toilets are a pain. We can help.Our licensed plumbers have been fixing toilet & drains clogs and stoppages for over 30 years. Learn how we can help repair your toilet or drain fast. Is your faucet constantly dripping or leaking? Ready to upgrade your sink to a more modern look? We can quickly fix or replace your bathroom and/or kitchen fixtures and get everything back in working order. 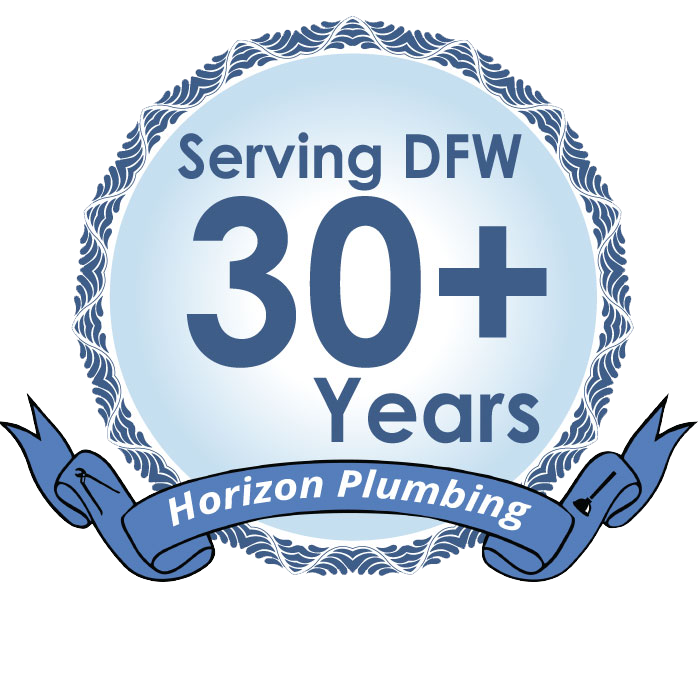 Horizon Plumbing plumbers specialize in the following services throughout Arlington and entire Dallas & Fort Worth metroplex. We also offer an annual maintenance program to ensure all of your water dependent fixtures are running smoothly which can prevent costly repairs in the future.